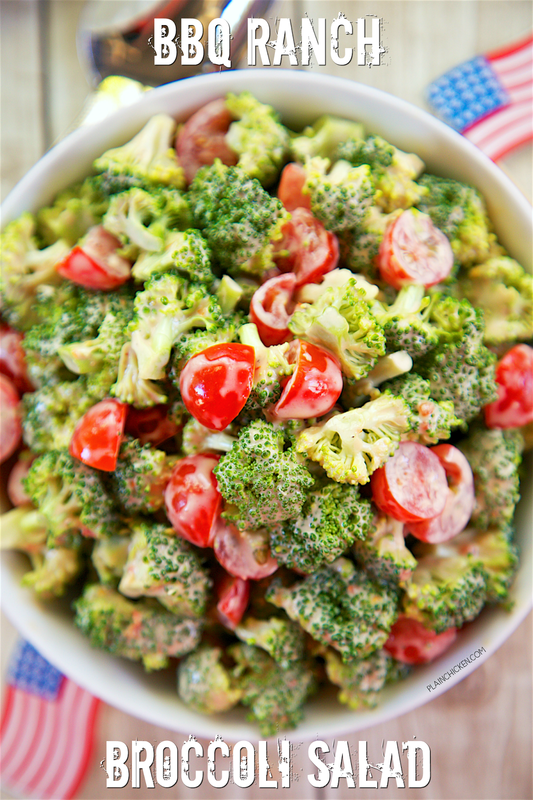 BBQ Ranch Broccoli Salad - only 3 ingredients! Everyone RAVES about this crazy simple side dish!! We ate this 2 days in a row. Great for cookouts! I made this BBQ Ranch Broccoli Salad as a side dish for another post. I wasn't planning on sharing the recipe, but Chicken Legs insisted it needed to be shared. He took one bite and absolutely fell in love with it. He could have made a meal out of it! This is ridiculously simple. 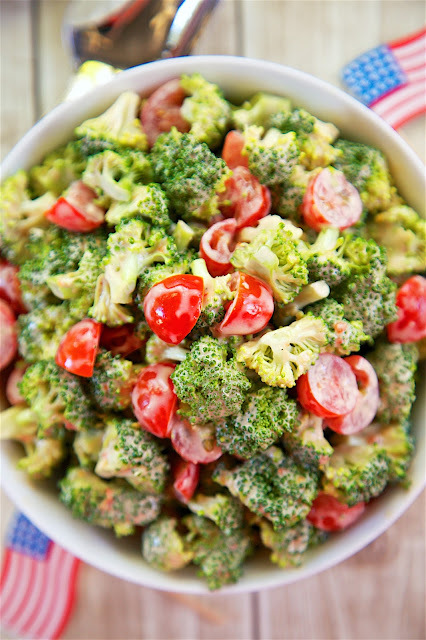 It only has 3 ingredients - fresh broccoli, tomatoes and some BBQ Ranch dressing. I used the new Hidden Valley Honey BBQ Ranch dressing. We love it. It goes with everything! 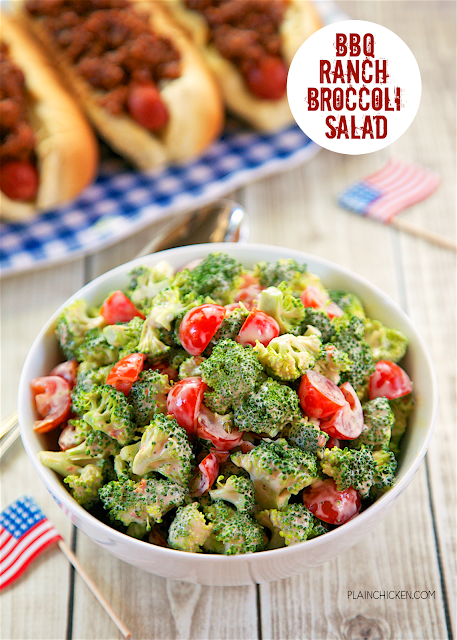 We ate this BBQ Ranch Broccoli Salad for two days straight! It goes great with grilled chicken, grilled pork, burgers, hot dogs - really anything! It tasted great the next day. This would be a great side dish for a potluck. I promise everyone will rave about it and ask for the recipe! In a large bowl, combine all ingredients. Tossing well to coat. I love fresh, crunchy broccoli. This looks SO good! !